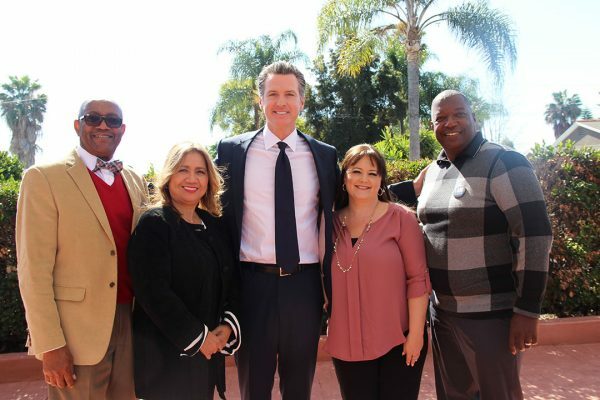 San Diego – United Domestic Workers of America (UDW/AFSCME Local 3930), one of the largest local unions in the state, announced today that California Lieutenant Governor Gavin Newsom has received the union’s endorsement for California Governor. UDW’s Executive Board, made up of In-Home Supportive Service (IHSS) providers throughout the state, met with the candidates in February and surveyed their positions on the issues that matter most to caregivers and the seniors and people with disabilities that they care for. United Domestic Workers of America (UDW/AFSCME Local 3930) is a home care union made up of over 100,000 in-home caregivers in 21 counties across the state of California. UDW caregivers provide critical services through the state’s In-Home Supportive Services program (IHSS), which allows over half a million California seniors and people with disabilities to remain in their homes with dignity and independence.